On the 13th September who.com.au ran a piece titled “Flakka the new ‘Zombie Drug’ taking over Australia”. The article, which is billed as a guide to the uses and side-effects of the drug otherwise known as Alpha-PVP, is not only highly stigmatising toward people who use Flakka, but also potentially dangerous. Often, when a relatively unknown substance makes its way into mainstream media reporting, it is depicted as cartoonishly harmful, with hyperbolic warnings of a new drug ‘epidemic’. People who use the new substance are painted as out-of-control lunatics. We’ve seen this style of reporting on many substances over the years, including methamphetamine. Who’s reporting is in keeping with this legacy and includes all the hallmark tactics of exaggeration, sensationalism and dehumanisation. The tactic works to inspire fear, disgust and a moral panic in the community, which in turn generates ‘clicks’. Unfortunately for people who use Flakka, this style of reporting also serves to increase stigma and harm toward the drug-using community. Here’s how. 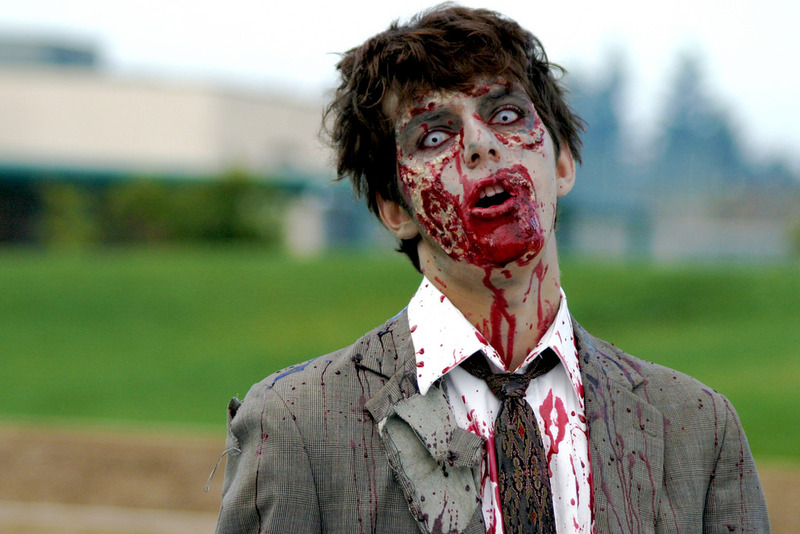 Alpha-PVP is referred to several times as ‘the zombie drug’, with one passage stating: “People under the influence have been found writhing around on the floor with their eyes rolled back in their heads- just like a zombie.” Sensationalist claims such as this serve to dehumanise people who use drugs by painting them as caricatures; inherently unworthy of the reader’s sympathy. They also feed into harmful stereotypes of users of ‘new’ drugs as maniacal and out of control. The author also relies heavily on exaggeration. Several extreme claims are made, including a quote from Dr Nabil N Sanadi of North Broward Hospital in Florida which reads: “It’s looking like it’s more dangerous and prevalent than any other drug we’ve seen in emergency medicine over the years.” The blanket statement is provided without any contextualising information (such as statistics on the relative harms of alcohol, which exponentially outweigh those of Alpha-PVP.) The claims are also presented in a clinical manner, leaving the reader with limited means to discern the presence of exaggeration. Of course, stigmatising language of this nature is effective at generating intrigue and drawing eyeballs. Unfortunately, it also cements negative stereotypes and normalises the dehumanisation of people who use drugs. When a new substance comes to popular attention, the media often claims without evidence that people acting strangely must be ‘on’ the drug. Several people mentioned throughout the article are assumed to be ‘on’ Alpha-PVP, such as in the following passage: “Florida teenager Austin Harrouff was just 19 and deemed to be on flakka when he stabbed and murdered Michelle Mishcon and her husband John Stevens…” Blood tests later concluded that Harrouff did not, in fact, have Alpha-PVP in his system. The article presents a list of “side effects” which include the following quote from Dr Sanadi: “People think they’re being chased, being shot at, the devil is chasing them.” Though the quote may be an accurate representation of the worst cases the doctor has seen, listing it under the banner “side effects” encourages the reader to believe these behaviours are routine outcomes of taking the drug. The journalist fails to present any counter-arguments which could provide the reader with some perspective on, for example, the relative harms of Alpha-PVP compared to other drugs. When compared to alcohol, tobacco, or even other illicit drugs like methamphetamine, the harms associated with Alpha-PVP are minimal. In so doing, she robs the reader of the ability to generate an informed opinion on the drug and its effects. Finally, the piece fails in its responsibility to minimise harm and potentially increases risks to the reader by detailing ways in which Alpha-PVP can be bought, ingested, and the various street names for the drug. These inclusions serve to paint the drug as ‘cool’ and easy to obtain, virtually a ‘how to’ for someone contemplating using a drug. What could the author have done differently? Better fact checking: Almost all the claims about Alpha-PVP are made in the absence of proper evidence. If the author had taken some time to find evidence-based information she might have avoided some of her more exaggerated assertions. Provide counter-arguments: To provide balance and context to the article, the author could have included statistics on other drugs, and/or sought out an interview with someone in the harm reduction community. Interview with a person who uses Alpha-PVP: Perhaps the most useful thing the author could have done to reduce stigma would have been to interview a person with real-world experience with Alpha-PVP. The inclusion of quotes from a real person would have served to remind the reader that people who use the drug are human and not scary caricatures. What sort of impact does a piece like this have on our attitudes? Articles like the one featured here play a powerful role in shaping our attitudes toward people who use drugs. They engineer a false sense of frenzy, painting a picture of a monster drug ‘taking over the country’ and cynically capitalising on existing stigma in order to drive clicks. For the publication, this tactic might simply be an easy way to make money, but for people who use drugs it has real-world implications, including the normalisation of stigma and dehumanisation. Overall this piece fundamentally fails in its responsibility to provide balanced and accurate reporting, and in so doing, exposes the drug-using community to unnecessary harm. When contacted by AOD Media Watch via Instagram for a response, the journalist from Who advised they did not write the article and that they would escalate to the Who editorial team to provide a response. At the time of publication, no contact has been received from Who.